La Vie Mort No. 90 Parfum 1.6 fl. oz. Home / La Vie Mort No. 90 Parfum 1.6 fl. oz. Fragrance Notes White Tuberose, Cardamom, Hibiscus Leaf, Jasmine Description An intoxicating blend of blossoming, sweet flowers. 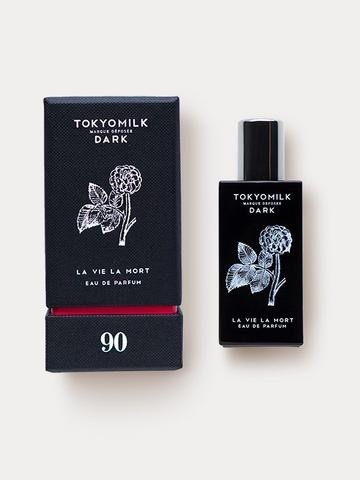 White Tuberose and Jasmine are transformed by a touch of Cardamom and Hibiscus Leaf. This romantic floral transcends beauty itself.